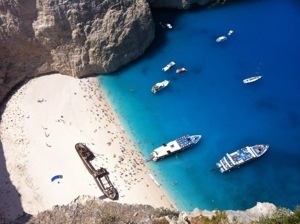 Navagio Beach, otherwise known as the Shipwreck, is one of The Fav beaches to check out! 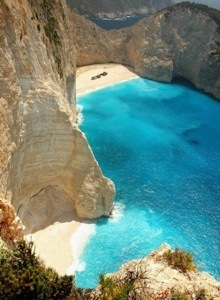 Zakynthos island Greece, the resting place of smuggler ship Panagiotis takes up a nice chunk of the white sand beach and is perhaps the ONLY target to steer clear from when Base Jumping off the sheer cliffs above. The only way to get there is a fantastic boat ride and a nice hike up to the top. And the view… Can’t beat that!! 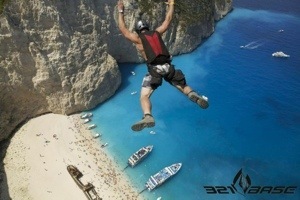 Following Pro Base Jumper Aaron Gray to the top… This is not just badass!! It’s SICK!! !